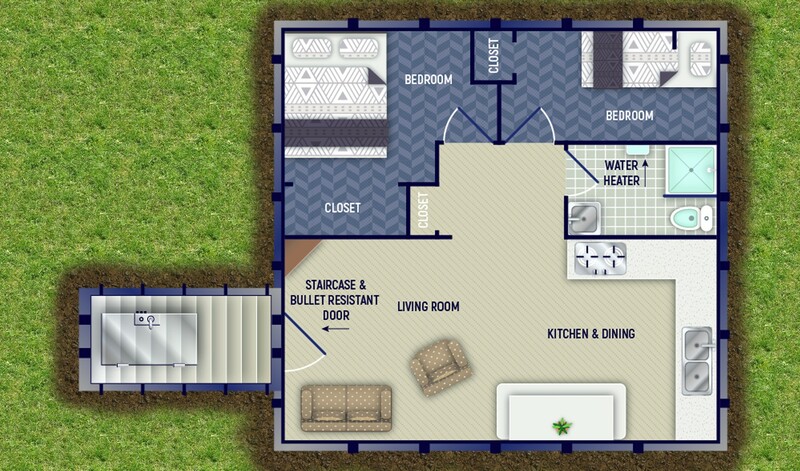 This new Double Wide Design offers a more ” like home” feel. With this open floor plan your kitchen, dining and living area are conjoined allowing for space utilization and customization. This bomb shelter can be customized with our signature steel table and bench or left open for more traditional home furnishings. Once you have walked down the stairs and enter the Admiral, you will be directly in the living room. The TV/DVD combo is ready for your entertainment.The large living room leaves a wide variety of possibilities for your furniture arrangement. Leaving the living area you transition smoothly into the kitchen. The kitchen comes equipped with a stainless sink, alcohol burning stove and a double counter top.Beyond the common area is the hallway that leads to 2 bedrooms and the bathroom. The bathroom includes a shower, composting toilet and a sink. The tankless water heater allows your family to take nice hot showers. The 2 bedrooms in this unit both have a walk in closet for maximizing storage. 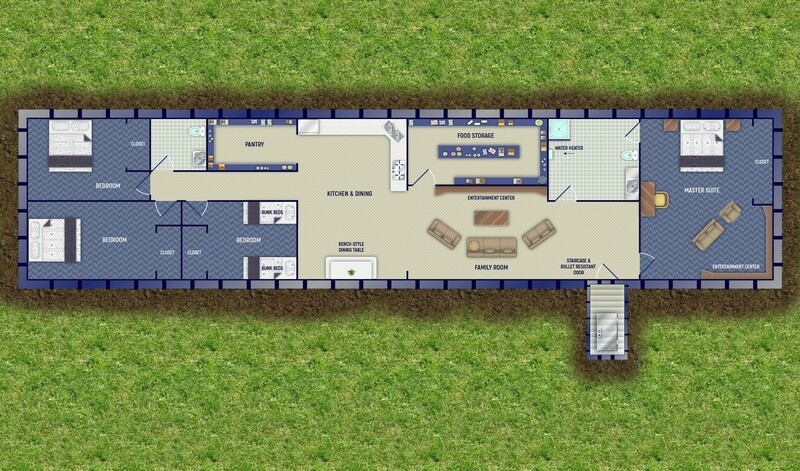 Like the living room, the bedrooms also come with an open floor plan to allow for further customization and furniture arrangement in your bomb shelter. For emergency situations or defending your family the Admiral also offers an escape hatch. 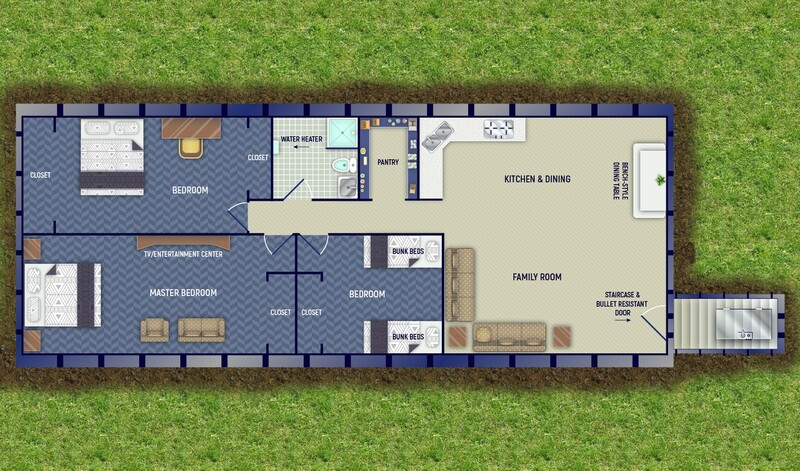 This double wide bomb shelter can provide your family an ‘off-grid’ lifestyle while living comfortably.